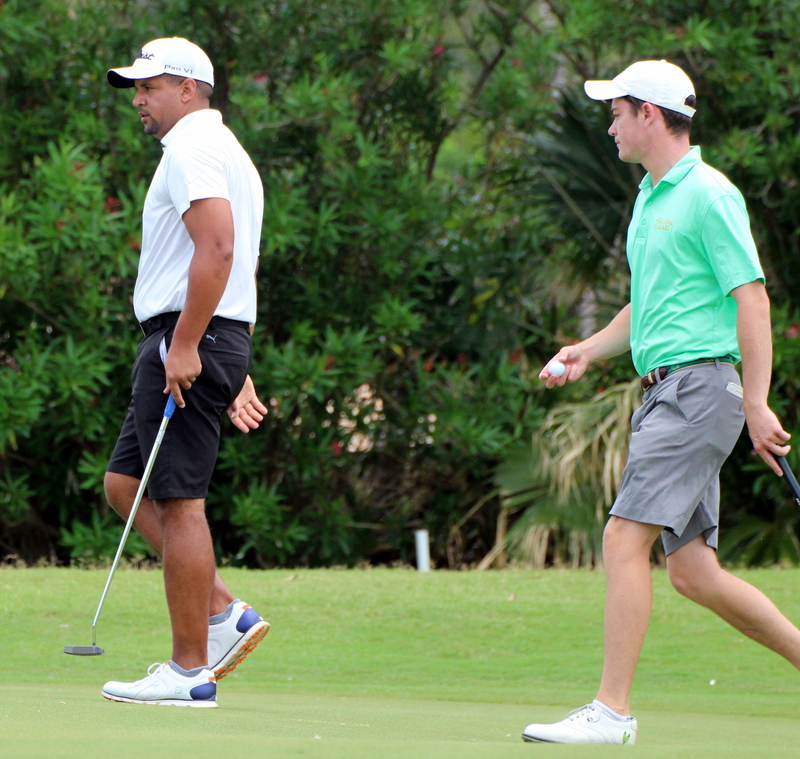 The 2nd Round of the Bermuda Stroke Play Championships concluded at the Port Royal Golf Course with all three 1st Round leaders remaining in front. The heavy rain during the night and into daylight hours this morning created some challenging situations with the bunkers, many of which had not drained at the commencement of play, but on the positive side, the wind was down and made for some low scoring. In the Men’s Open Championship Division the 2017 champion, Jarryd Dillas shot a 1-under par 70 to take a two-stroke lead into the final round, second place Will Haddrell also shot 1-under for his second round and remains at 2-over par, while round one leader with Dillas, Walker Campbell shot a second round 3-over par 73. In the Ladies Championship Division, Elizabeth Parsons, recently back from school took kept her 6 stroke lead with a second round of 77, the same as second place Ebonie Cox. Parsons currently sits at 10-overs, with Cox at 16-over and Katrin Burnie is in third at 25-over par. Hav Trott showed his form was better than the day before when he shot 2 strokes better than his 1st Round score with a 73, to lead the Men’s Senior Division with a two round total of 6-over par, Christopher Phillips is second at 15-over par and Jeffrey Lindo is in third at 17-over par.